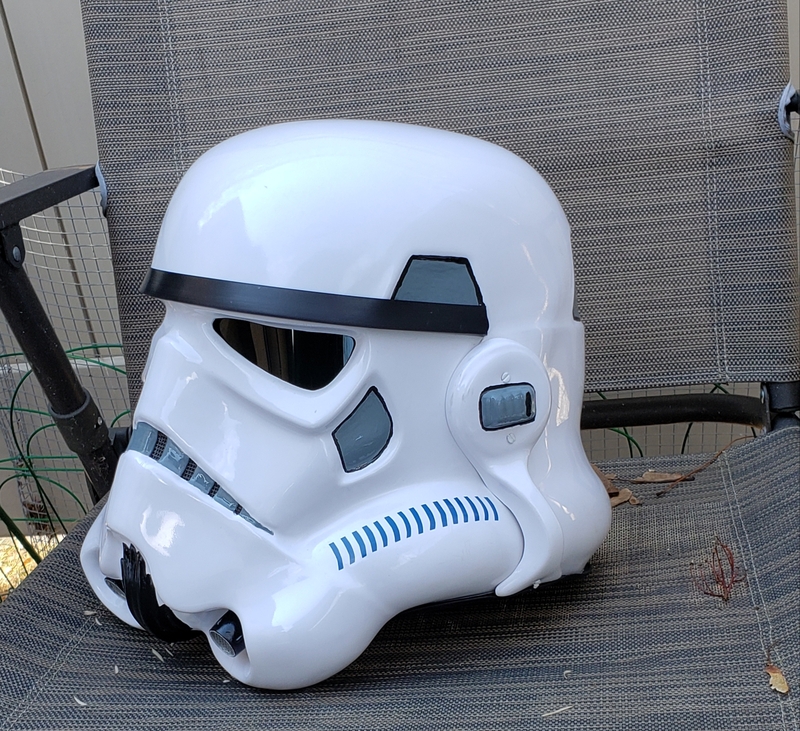 Here's my Walt's Trooper Factory Sandtrooper that I've started working on. This started as a B-grade kit with a few imperfections here and there but nothing too major. The kit included the hook and strap system but I'm going to use trooperbay snaps and mock the chest hangers in. I have rubber hand guards, pinky geek neckseal, pinky geek pauldron, trooperbay canvas pouches, chemical gloves, hangers & snaps and stuff, compression suit, boots, and the kit. I will slowly buy the backpack pieces as I go along. Currently I'm ready to strap the body components together. Once the weather gets a little warmer I'll glue the cover strips on the arms and legs using the proper method. I do have a few stupidly simple questions that I cant really find answers for. 1. How tight fitting do I want the waist armor? 2. How tight for the arms and legs? Should they easily fall off my arms or fit snug? 3. 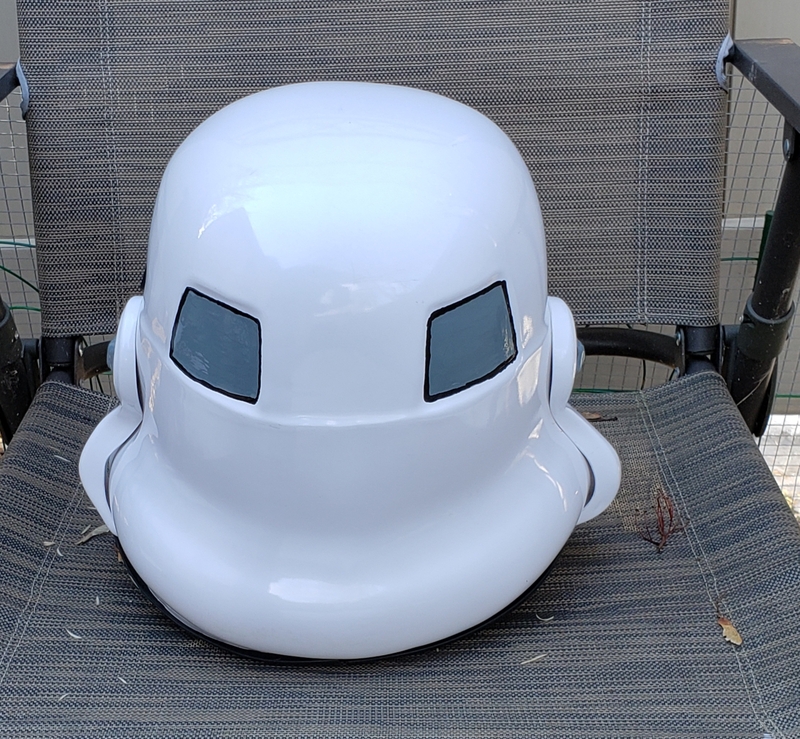 Do I need a balaclava like with my AT-AT driver? 4. I have a diagram of a TK that specifies the width of the leg strips as 20mm front and back for the thighs, and 20mm front and 25mm back for calves. Is 25mm for the rear calves optional for people with bigger calves? Or is 20mm is preferable for the rear calves? 5. Where in the world do I find the proper Tandy snaps? All I can find are snaps that are embossed with Tandy. 6. Weathering products? I don't want to use the hairspray method I want something permanent and earthy. I'm sure I have more questions but some will be answered the more I search through the forum. 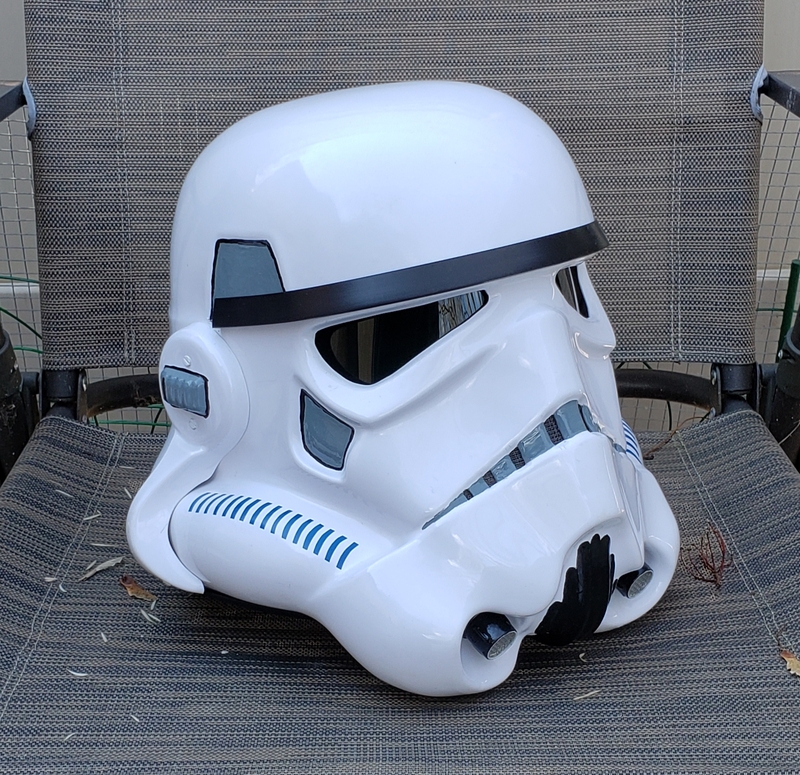 Here's my AT-AT driver and all the other stuff. 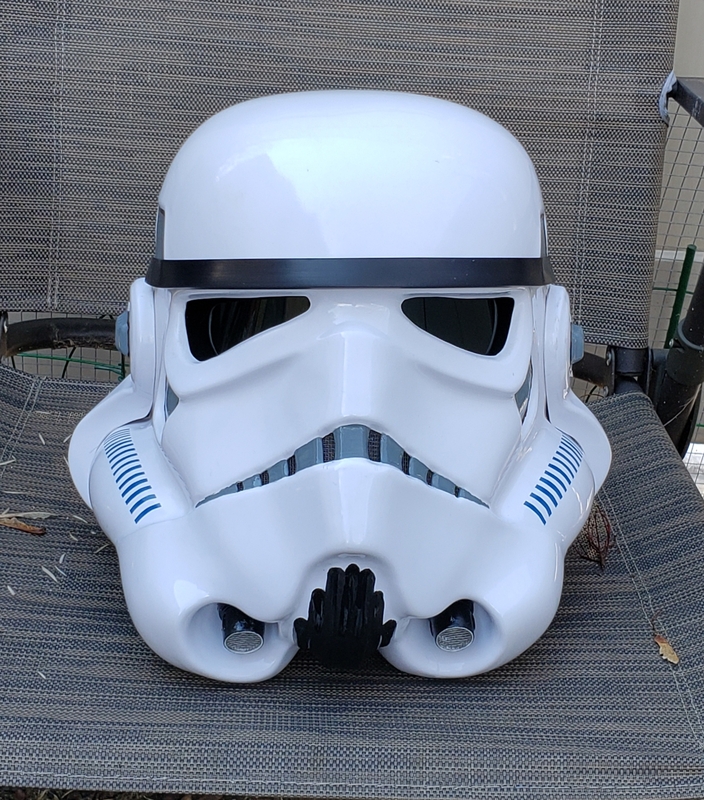 I make the Mcquarrie Snowtrooper helmet you see on the right. I don't offer the armor however. 2. How tight for the arms and legs? Should they easily fall off my arms or fit snug? There are official sizes for the strips but depending on how big your arms are. But 15-18mm is preferred. 4. I have a diagram of a TK that specifies the width of the leg strips as 20mm front and back for the thighs, and 20mm front and 25mm back for calves. Is 25mm for the rear calves optional for people with bigger calves? Or is 20mm is preferable for the rear calves? Preferrably as small as possible,but the guys in a new hope were a lot smaller that we are these days. So when needed bigger 25mm is the maximum I would do. 6. Weathering products? I don't want to use the hairspray method I want something permanent and earthy. Well that's something really personal, some use real dirt, some a mixture of oil and dirt and some drag it behind their car for a couple of miles. SBut seriously I would go for terra colours and experiment with them and please, but please don't use acrylics...and the hairspray is used for fixation, I have applied several layers and it works like a dream. Thanks for the information! 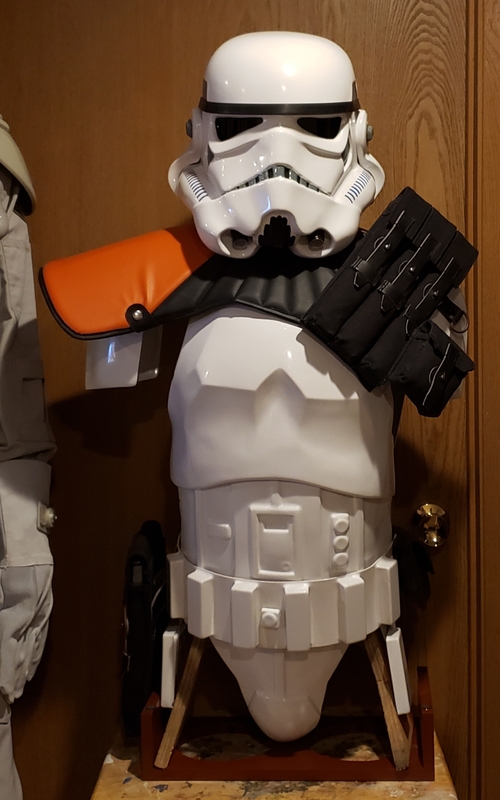 I started to install the straps last night, measured my waist in armor, and ordered the canvas belt.